I’ve been looking forward to this post ALL YEAR! Here are my top five picks of the books I read over the year. It was so hard to choose. And by so hard, I mean almost paralyzing. I finished a total of 32 books in 2017, and there were so many five-star choices for me! Here they are in reverse order. 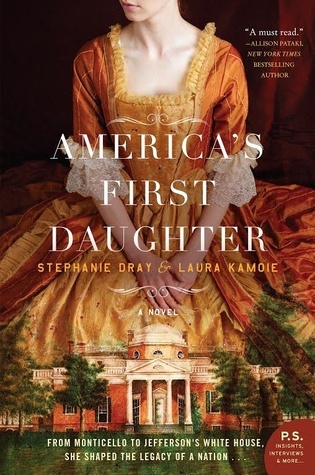 The contradictions of campaigning for slaves’ freedom while owning slaves, the struggle of a life of politics and high ideals, secrecy, loyalty, romance, two revolutions and two countries (France and the U.S.), lend plenty of enthralling material to this book. I kept thinking, “HOW am I only through a third of the book? What more could POSSIBLY happen?? ?” Read the full review here. In” Desperate” you will find the story of one young mother’s honest account of the desperate feelings experienced in motherhood and one experienced mentor’s realistic and gentle exhortations that were forged in the trenches of raising her own four children. I grabbed Desperate because I judged it by its cover, and based on that alone, I could already relate. We all have a hard time with parenting, and that’s ok. But sometimes it leads us to look for formulas in the hopes that if we do everything right, our kids will finally be little angels. Well, Desperate sets us all free from formulas and standards that will only make us frustrated, sad, and angry. Desperate is a great book for latching on to grace… Read the full review here. OK, so the truth is that she rents a tiny room with no space for a wardrobe, has a hideous commute to a lowly admin job, and the life she shares on Instagram isn’t really hers. But one day her dreams are bound to come true, aren’t they? 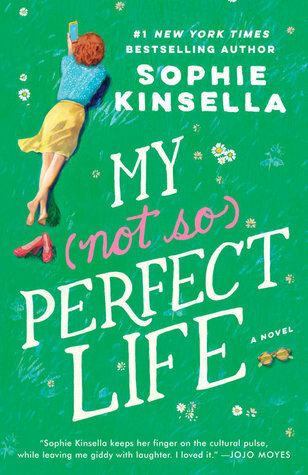 My (not so) Perfect Life is, ironically, the perfect light-hearted, funny, endearing novel. It’s hilarious and romantic too. I adored Katie Brenner and the growth that she achieves. The character development in this book was fabulous. The places that the author took me to made me feel like I was on vacation. I will be rereading this one anytime I need to relax, laugh, and remember it’s important to be authentic. Read the full review here. 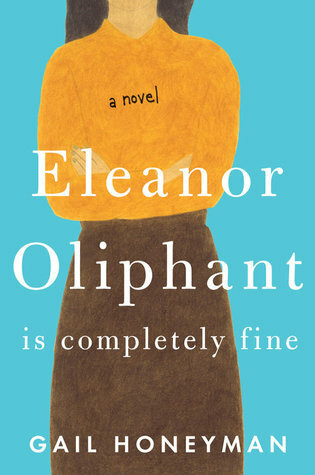 Meet Eleanor Oliphant. She struggles with appropriate social skills and tends to say exactly what she’s thinking. Nothing is missing in her carefully time-tabled life of avoiding social interactions, where weekends are punctuated by frozen pizza, vodka, and phone chats with Mummy. Then everything changes when Eleanor meets Raymond, the bumbling and deeply unhygienic IT guy from her office. …It is Raymond’s big heart that will ultimately help Eleanor find the way to repair her own profoundly damaged one. Eleanor made me want to “work from the outside in,” just like she does, to grow, and to learn to love better. She made me laugh in her misinterpretations of the culture around her, and she made me cry because of that same unique point of view. Read the full review here. Drumroll…Here’s the book I loved the most this year! Bob Goff has become something of a legend, and his friends consider him the world’s best-kept secret. Those same friends have long insisted he write a book. What follows are paradigm shifts, musings, and stories from one of the world’s most delightfully engaging and winsome people. What fuels his impact? Love. But it’s not the kind of love that stops at thoughts and feelings. Bob’s love takes action. Bob believes Love Does. If you’re like me, you’ll devour Love Does and remember the stories in it for the rest of your life. It’s full of funny, cute, dramatic, and insane tales from the author’s life that demonstrate a sense of whimsy and a passion for acting on unconditional love. But it’s not about the author so much as it is about you and how your life can be just as incredible and glorifying to God. Read the full review here. Have you read any of my favorites? What did you think of them? Let me know what you loved reading this year in the comments! I also loved My Not So Perfect Life!! One of my top 5 books of the year too! Hooray! Glad there were some good recommendations for you! These look great! If you enjoyed Love Does, you should check out his wife’s book, Love Lives Here, by Maria Goff. I loved it even more than Love Does! So, so good! And inspiring! I have seen that book around, and I think I definitely need to check it out! I loved My Not So Perfect Life. Sophie Kinsella knows how to develop characters! Her main characters are always just so quirky and loveable! It was such a fun read!